It used to be: If you see a coyote, shoot it. Better yet, a bear. Best of all, perhaps? A wolf. 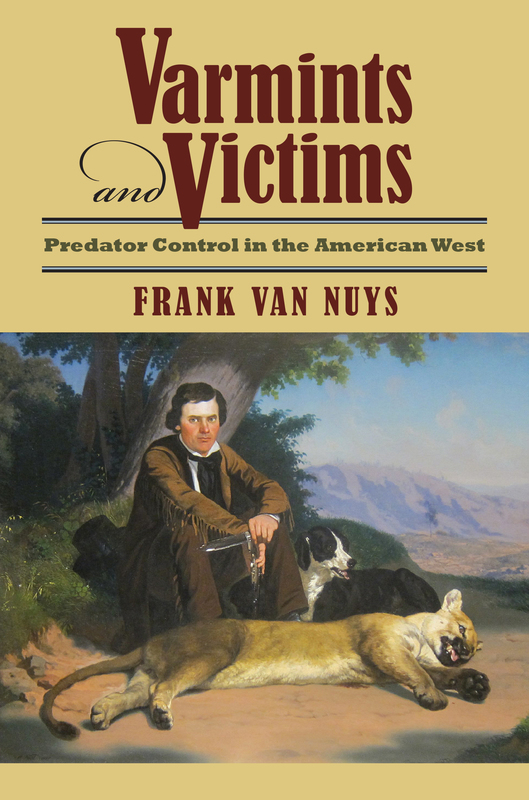 How we've gotten from there to here, where such predators are reintroduced, protected, and in some cases revered, is the story Frank Van Nuys tells in Varmints and Victims, a thorough and enlightening look at the evolution of predator management in the American West. As controversies over predator control rage on, Varmints and Victims puts the debate into historical context, tracing the West's relationship with charismatic predators like grizzlies, wolves, and cougars from unquestioned eradication to ambivalent recovery efforts. Van Nuys offers a nuanced and balanced perspective on an often-emotional topic, exploring the intricacies of how and why attitudes toward predators have changed over the years. Focusing primarily on wolves, coyotes, mountain lions, and grizzly bears, he charts the logic and methods of management practiced by ranchers, hunters, and federal officials. Broad in scope and rich in detail, this work brings new, much-needed clarity to the complex interweaving of economics, politics, science, and culture in the formulation of ideas about predator species, and in policies directed at these creatures. In the process, we come to see how the story of predator control is in many ways the story of the American West itself, from early attempts to connect the frontier region to mainstream American life and economics to present ideas about the nature and singularity of the region.